The quartz crystal used to make this necklace is also known to help clear the mind of negativity and enhance positive moods. Its gentle but powerful energy brings balance, making it a good choice in chakra healing. This benefit extends to the nervous system and is therefore useful in easing tension. 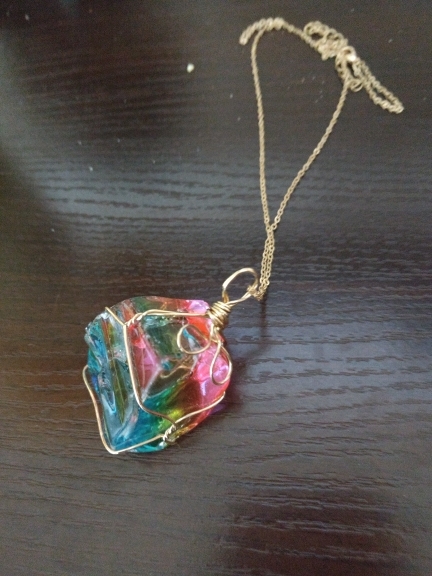 Each Rainbow Quart Necklace is individually handcrafted, no two are alike making your piece truly unique and beautiful! Handmade wire clasp, chain and wire wrapped setting in non tarnish silver plated copper artisan wire. 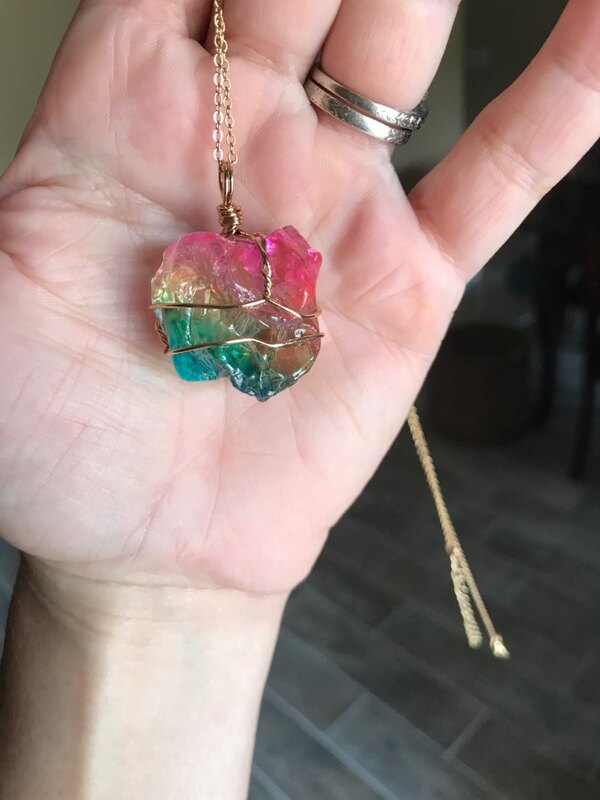 Now live a life that’s filled with color, fresh experiences, and good people with this rainbow quartz necklace! 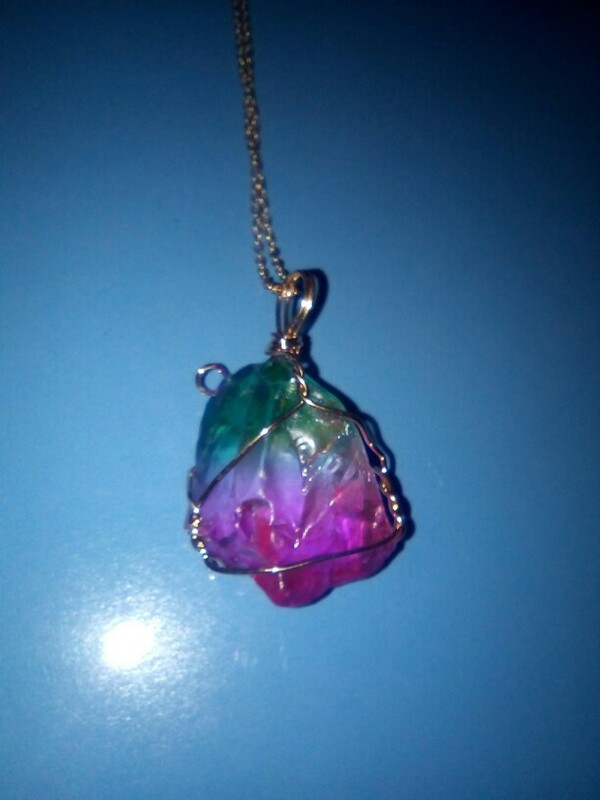 Reserve your rainbow quartz necklace now! 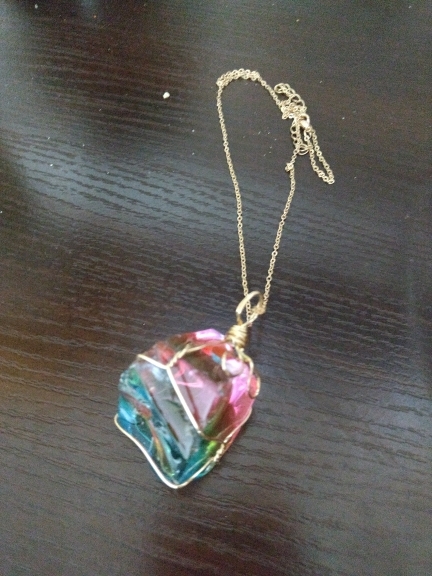 The Rainbow Quartz Crystal is a powerful manifesting stone. It brings harmony and balance. The rainbow is a very strong symbol of the movement of your conscience through the difference levels of growth that each color of the rainbow represents. They stimulate every chakra to give you the courage and the strength to make it through everything else that will come your way. Use this crystal to make your dreams come true! Maintain the balance of your chakras wearing this crystal daily!